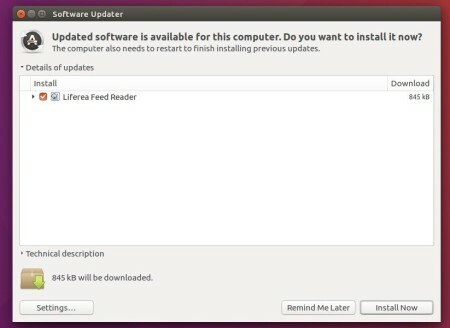 Liferea (Linux Feed Reader) 1.12.4 was released a day ago. The new release brings smaller bug and security fixes. 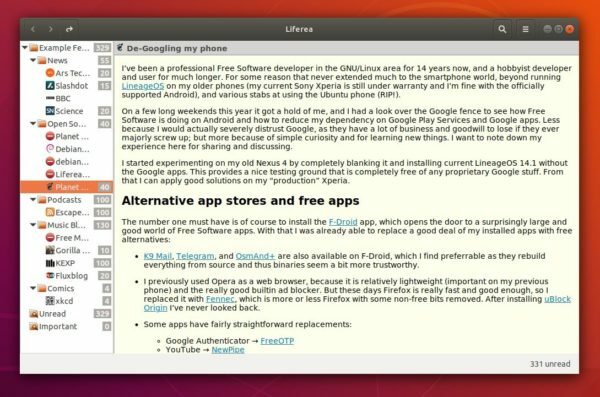 For Ubuntu 16.04, Ubuntu 18.04, Linux Mint 19, 18.x, the new release is available in a third-party PPA repository.